Prices listed online for Professional Services that include Home Inspections, Termite and Wood Destroying Insects Inspections, Radon Testing, Mold Assessments, Pool Inspections, Water Analysis, and Septic System Inspection. Below are our rates and package specials. You can combine our services to create a customized inspection to meet your particular needs. We strongly encourage you to attend your inspection. This way we can explain what we find and the potential seriousness of the issue. We can also answer questions you may have about the home. Payment is due at the time of the inspection and we accept all major credit cards, cash or check. If you need a FHA water test add $75, if you require a Hydraulic Load Test it is an additional $200 if the first part of it can be performed at the time of the inspection. If your home is larger than this, please call to confirm pricing. Detached buildings with their own utilities are an additional $75 dollars each depending on their location. All Prices below are for services without a home inspection. 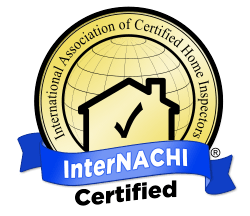 If you wish to add of any of them to your home inspection, call us for the special package rate. $200 Non-invasive examination to identify possible mold hazard and conducive conditions with in the home. Mold Lab Testing may be required and is an additional cost. $175* * Specialized loan requirements may be additional. Locating and exposing the tank hatch and pumping the tank are extra and typically paid for by the Seller. There is no additional charge if we need to return to check the integrity of the tank after pumping. $300 Former apartments renovated for resale as single level individual units within a multi-unit structure or homes built as single level individual units within a multi-unit structure. $250 Manufactured home inspections involve inspecting mobile homes, trailer homes, doublewides, factory housing, and modular homes for defects. We service Allentown, Bethlehem, Easton and all of the Lehigh Valley along with Pocano Monroe County and Quakertown Northern Bucks County!